Thinking long-term means adjusting California cities’ General Plans and creating with ambitious Energy/Climate Action Plans to outline sustainability measures in order to reduce greenhouse gas emissions. The following LGSEC Member Spotlight showcases an organization that supports local governments with climate and energy planning, and will focus on the Energy Action Plan created for the City of Sonora. Sierra Business Council (SBC) created an Energy Action Plan (EAP) for the City of Sonora with energy goals based on the comparison of 2010 energy consumption, 2015 energy consumption, 2035 business as usual (BAU) energy consumption projections to the 2035 potential energy savings (Figure 1). The EAP analyzes energy use to provide a roadmap that will encourage energy efficiency, renewable energy, and water efficiency efforts. If the City of Sonora were to continue to operate at its current standards, then annual energy consumption is expected to increase about 25% by 2035. However, if the strategies laid out in the EAP are successfully implemented then there are potential annual energy reduction savings up to 55% depending on the energy use. The City of Sonora’s General Plan outlines related goals in the Housing, Conservation & Open Spaces, and the Air Quality Elements, so the strategies in the EAP are addressing existing goals to help the City of Sonora achieve reduced greenhouse gas emissions over time. Figure 1. Table showing potential energy reductions outlined in EAP. In early 2018, the City of Sonora took initiative to participate in the PG&E LED Streetlights program and expect to see a significant reduction in energy use and monthly bills. Since then, the importance of energy efficiency and water conservation has grown throughout the community. With help from LGC’s CivicSpark Program, a workforce development program to build capacity for local governments, the city is now trying to expand education and outreach efforts to engage the community through best-practice sustainability initiatives. Every month a multi-stakeholder working group is brought together to discuss next step actions for building out community involvement. Presently, updating old housing stock, engaging the youth and incentivizing businesses to go green are their main priorities. All of SBC’s work for the City of Sonora‘s EAP was provided at no direct cost to the City of Sonora and is funded by California utility ratepayers through the public goods surcharge administered by PG&E. Sierra Business Council worked on the City of Sonora’s EAP in partnership with: PG&E, City of Sonora, Tuolumne Utilities District, and Local Government Commission CivicSpark. 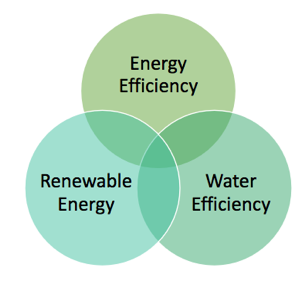 There are three key strategies outlined in the EAP– Energy Efficiency, Renewable Energy, and Water Efficiency, which will put the City of Sonora on a successful path to reduced emissions. 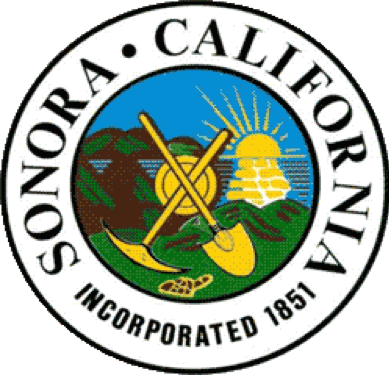 The City of Sonora can achieve energy efficiency by improving outreach and education efforts, strengthening compliance with the California Energy Efficiency Standards (Title 24, Part 6) for buildings, and by retrofitting municipal buildings and operations. There are numerous energy-efficiency programs currently available for residential and non-residential utility customers that focus on retrofitting indoor/outdoor lighting, refrigeration and HVAC systems, windows and insulation, etc., with incentive programs to encourage participation. One store in particular, Benjamin Fig Gift Shop, completed an LED lighting retrofit that was paid off in four months due to the generous rebates that are offered. The retrofit is estimated to save the store owner 9,303 kWh hours of electricity and $1,682.86 annually. Title 24, Part 6 was enacted in 1977 but 76% of housing and non-residential buildings in Sonora was built prior to this date. Therefore, most of these buildings use significantly more energy for heating and cooling than newer buildings built to meet or exceed the Title 24, Part 6 standards. Additionally historic buildings qualify for the Federal Historic Preservation Tax Incentive program. Since Title 24, Part 6 is updated every three years, upgrades for these older buildings is a significant opportunity for the City of Sonora to be more energy efficient. Lastly, city buildings, operations, and facilities efficiency can be improved upon in partnership with PG&E and other utility providers. The City of Sonora can expand usage of renewable energy and resilience measures by encouraging new construction and large retrofit projects to meet Zero Net Energy (ZNE) goals. New residential buildings will be required to include renewable energy systems to achieve ZNE by 2020 and new commercial construction sites have until 2030. All participants are encouraged to install solar PV systems in a cost effective and feasible way, and the City of Sonora can be a leader in ensuring this happens by installing solar on their facilities. Furthermore, education and outreach for renewable energy options can be improved even though there have already been 317 residential and four non-residential solar PV systems installed since 2010. Local solar projects give public agencies and community members more local control over the their energy consumption and can be improved by incorporating energy storage systems. 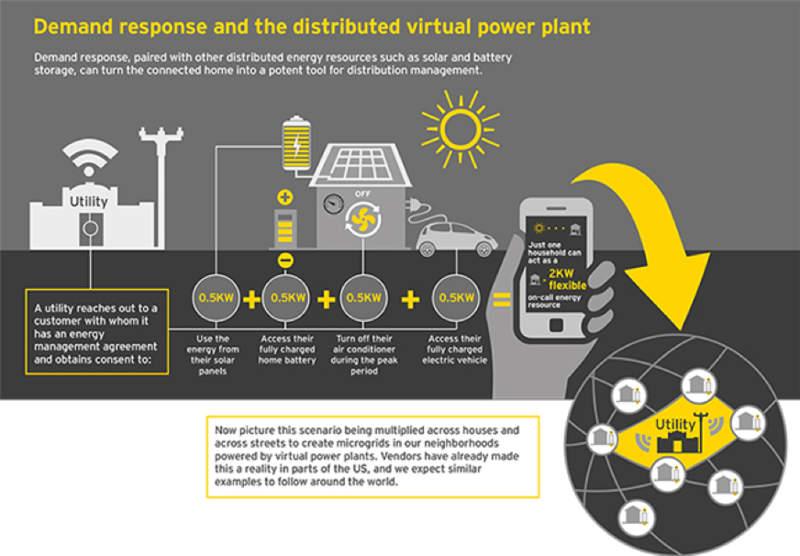 Additionally, by taking into consideration demand response and energy storage (Figure 2) the panels can be used more efficiently and their value can be maximized. Since the value of electricity varies throughout the day and the solar panels produce electricity only during a certain time, changing our energy consumption patterns is an effective way to maximize the benefits from the panels. Peak shaving through demand response and energy storage systems is the best way to reach this goal and achieve additional cost savings. Figure 2. Demand response utilization. Water efficiency can be improved by ensuring the safe and efficient transportation and use of water resources. The City of Sonora plans to work with Tuolumne Utilities District (TUD) to improve their education and outreach around water efficiency, reduce water losses through leak detection, and improve treatment and distribution equipment energy efficiency throughout their operations. Leaks account for 12% of indoor water use so fixing leaks in homes and businesses and improving the efficiency in appliances, showers, and faucets is an effective place to begin. Furthermore, outdoor water use can be more efficient by improving irrigation systems, installing rain sensors, and using native landscaping that is drought-resistant. Briar Patch Co-op, though not located in Sonora, is a great example of how improvements can be made. The cooperative grocery store went through the stages to become LEED certified by installing a solar array of 700 panels, drip irrigation, energy efficient refrigerators, LED lighting, sustainable flooring, and an HVAC system that draws in 30% of fresh air from outside. In older buildings, TUD can provide audits to improve aging water infrastructure and faulty meters to reduce leakage rates. Lastly, TUD’s operations and treatment facilities can upgrade inefficient equipment to improve their energy efficiency when transporting and treating water. TUD’s system has the potential to be a closed-loop if treated wastewater is reused in appropriate applications, which will reduce overall water consumption.